Launch Into STAR Net‘s “Summer of Space”! In the summer of 2019, 16,000 libraries across the country will celebrate space exploration in their summer reading programs. 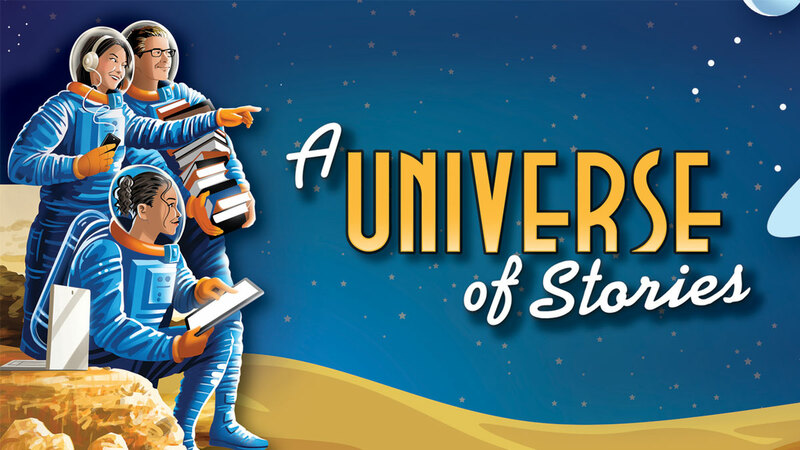 The slogan “A Universe of Stories” was chosen by library professionals to help inspire children of all ages to dream big, believe in themselves, and create their own story. CSLP and STAR Net are partnering to share science and technology-related resources with these libraries. This summer learning program will also coincide with NASA’s celebration of the 50th anniversary of the Apollo Moon Landing. Register Your Library and Get Notified of Valuable Resources! If you’re interested in getting important resource notifications (and other news) for 2019’s Summer Learning Program, register your library’s participation to receive this important event newsletter. Below we have assembled a collection of resources that include vetted STEM activities, printable materials (PDF format), images and important webpages that your library can utilize for your 2019 Summer Learning Program.